Right click on My Calendar. In the search bar (upper left corner) type cvm-afterhoursoncall to highlight it. Select Calendar (lower left corner) to add it. 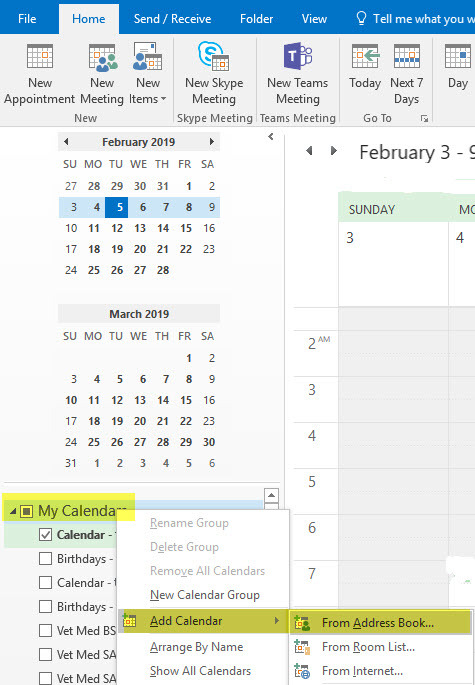 You will now be able to add and edit items on the calendar from within your Outlook My Calendars. If you have any questions about usage of the calendar please confer with your service/department representative.